Continuing the history of industry-leading product innovation and design, BRP recently won multiple awards for its 2014 Sea-Doo Spark watercraft in the areas of affordability, design and engineering. The new Sea-Doo Spark watercraft is initiating an industry-wide progression to more affordable and accessible watercraft and is being recognized for this innovation across the industry. BRP received to date a Red Dot Award for high design quality, the Boating Industry magazine’s Top Products Award and the Edison Award for Innovation and Engineering, in addition to the National Marine Manufacturers Association’s Innovation Award. 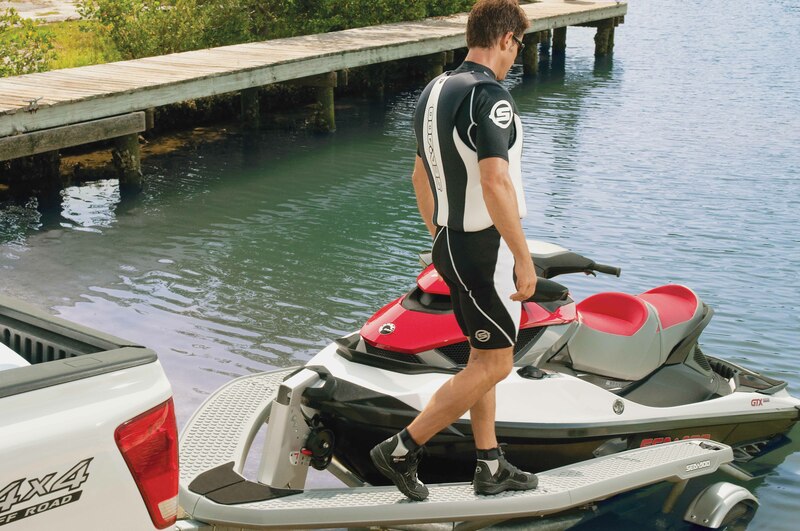 Consumers Digest also named the Sea-Doo Spark a Best Buy. “The Sea-Doo Spark is clear proof that genuine innovation emerges as a response to challenging market conditions,” noted Frank Bonafilia, executive director, Edison Awards. The Sea-Doo Spark watercraft features a nimble and compact design thanks to an all-new Exoskel architecture and the use of a new, lightweight, durable and recyclable Polytec material. The mould-injected process allowed BRP designers to implement new concepts in the area of shape and structure leading to a unique look and offering an equally refreshing way to play on the water. “The bottom line? For the average rider—certainly the beginner – a 60-hp PWC that delivers top-end speeds in the low 40-mph (64-km/h) range will be more than enough to get the adrenaline flowing, based on our hands-on evaluation,” commented Consumers Digest. The most accessible new watercraft on the market, the 2014 Sea-Doo Spark watercraft, costs nearly 40% less than its closest competitive model* and is the most fuel-efficient watercraft in the industry**. The performance segment also claimed its share of awards with BRP’s Sea-Doo RXT 260 and RXP-X 260 models receiving, respectively, a Consumers Digest Best Buy and Best in Class by PWCToday.com for the performance segment.